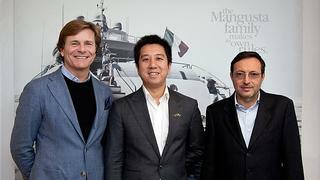 The Overmarine Group continues its expansion strategy in the East, signing a working agreement with Martello Yachting to promote the Group's brands in China and Singapore. Martello Yachting was founded in 2009 and specialises in superyachts, backed by its team's 30 year experience. With four Asian offices in Beijing, Hong Kong, Xiamen and Singapore, and over 25 employees, it offers consistent assistance to clients before, during and after they purchase their yacht.